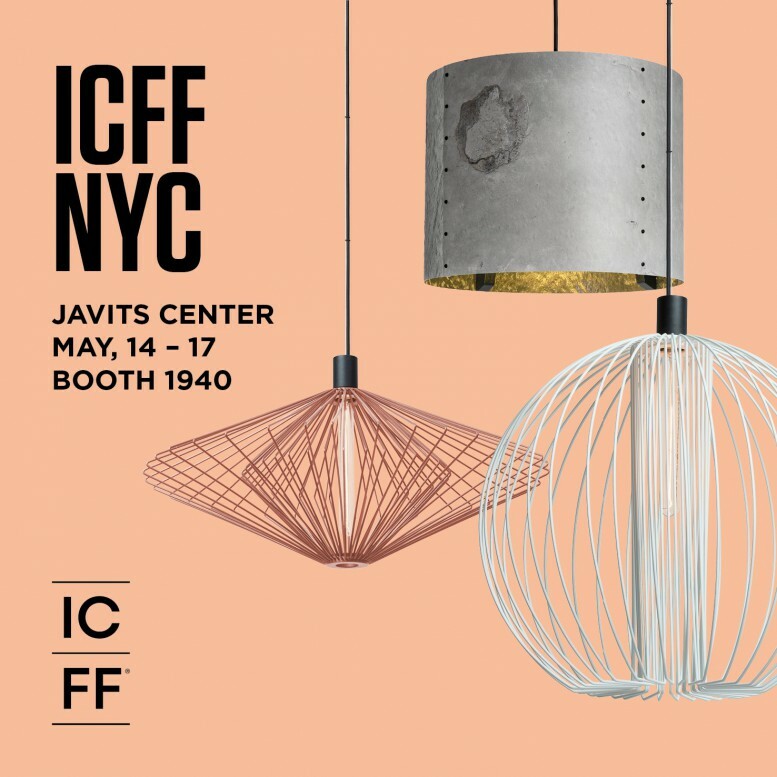 Visit the cutting edge Rock Collection at ICFF, and experience the modular lighting collection expertly crafted from shale stone. The Rock Collection by Wever & Ducré in collaboration with 13&9 demonstrates its mission to adapt materials for applications beyond their intended purposes. The collection’s shades are made from razor-thin veneers of natural shale which create subtle, sculptural lighting. The unique surface allows for a natural luminance. Honored for showcasing a new interpretation for shading solutions, Rock Light was a finalist at Interior Design Magazine’s Best of Year Award 2014. ICFF is North America’s premiere trade showcase for architecture and fine interior design. Taking place May 14-17, 2016, at the Jacob K. Javits Convention Center in New York City, the Rock Collection will be exhibited in BOOTH 1940.